Developments in the area of electrochemical manipulation of polymers are reviewed, with an emphasis on soft condensed matter (with some weight on aqueous systems). Electrochemical control of polymer solubility is a current issue, with applications in smart colloids, gels, and self-assembled systems. Electrode modification is addressed briefly. Different stimuli-responsive systems are categorized by highlighting the peculiarity of electrochemical switching. The review then categorizes different basic mechanisms for electrochemical switching of polymers: electrochemically induced solvation (switching of redox-active sites, which are strongly bound to the polymer), electrochemically induced complexation (free redox-active entities interact with complexation sites along the polymer), and mixed concepts. 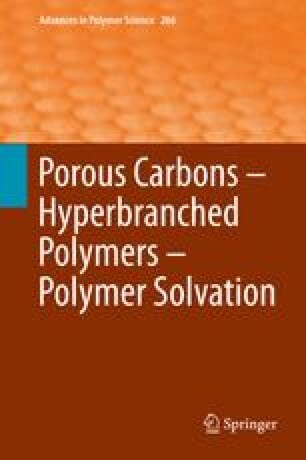 Further, features of different metallocene-based polymers are compared and ion-specific effects for the interaction of metallates with polyelectrolytes are addressed. The author gratefully acknowledges the fruitful discussions with André Laschewsky, Ian Manners, and Mario Tagliazucchi, the proof reading by David J. Skinner, and the financial support of the German Research Foundation (DFG) within SFB 985 (Functional Microgels and Microgel Systems).